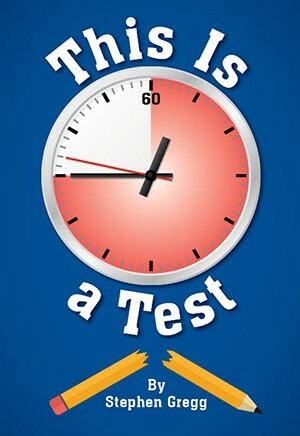 As the ticking clock reminds you, only 60 minutes remain to complete this oh-so-important predictor of your future. But you didn't get the review sheets, the teacher doesn't like you and your classmates are blatantly cheating. Time passes and the voices in your head remind you that though you are having trouble with the test, your personal life is far, far worse. Then you reach the essay question. The good newsit's an opinion essay. The bad newsit's in Chinese. And things aren't going to get better! 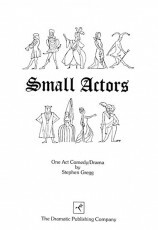 "The actors and audience had a great deal of fun with the play. It was wonderful to see the students improve their comic timing as the play went on. They took risks because they could relate to the play." "This is one of the best one-acts we have ever produced in our school's 20-year history. 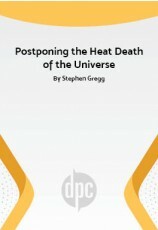 It is hilarious, artistic, incredibly well written, and a joy to produce!" "Easy to stage, direct. My school has no theater facility. This play was perfect. 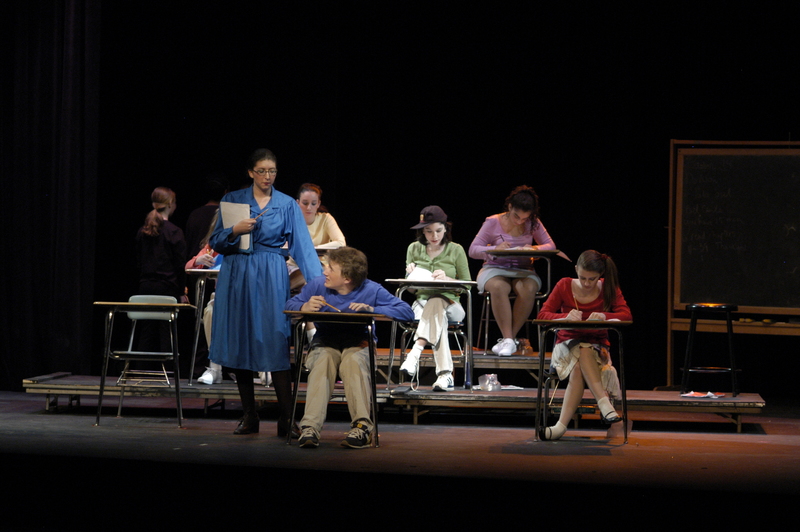 It is an ideal play for middle school." "What a great show! 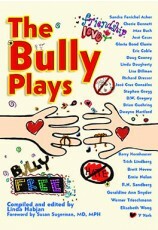 My cast was laughing at the dialog weeks into rehearsal, and the audience response was top level." 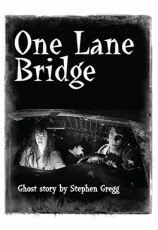 "Audiences were absolutely delighted with this play. We performed it the morning of our final exams. The students and teachers laughed at the antics of the class as well as reactions of Alan. 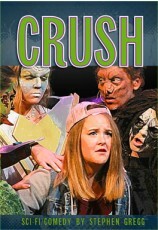 Great play for a high school. Would make an excellent competition piece." 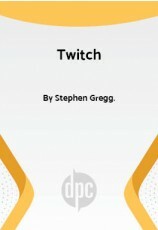 "This is a fabulous script to use with a high school cast. They can expand upon the ideas provided in order to make it their own." 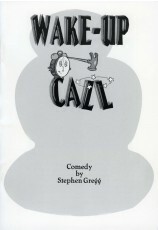 Review by Judine Brey, Colby High School, Colby, Wis.
"A Great Middle School Play with middle school characters and situations—my kids laughed from the opening read to the last night —they loved performing in this show." Review by Matt Demko, Weare Middle School, Weare, N.H.
"This Is a Test has it all: humor, great characters, easy set design, easy-to-make costumes, simple props and very simple blocking. Audiences will laugh and laugh. Principals love it!" 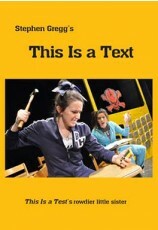 "This Is a Test is a well-written, smart, funny and age- appropriate play. It's easy to stage and allows for the director to be creative with the lights, sound and chorus." 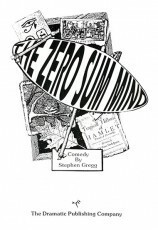 Review by Laura Woods, Iron Horse Middle School, San Ramon, Calif.
"This is a Test is a perfect one-act about the anxiety and absurdity of high school life and the nightmare experiences of taking the big test." Review by Karen Romant, Lincoln High School, Tallahassee, Fla.
"The flexibility in casting and the age of the roles make this a perfect high school show." "This Is a Test should be This Is a Scream! The play about text anxiety is so timely and our student audience roared. Parents, teachers, and students all enjoyed it." Review by Randy Burse, Gallatin High School, Gallatin, Tenn.
"Very apt for today's high test-high stakes environment. 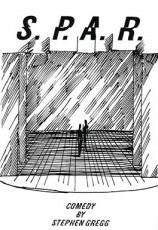 This Is a Testis hilarious—most of the best parts are in the movements between the lines." "This Is a Test is a pure delight. This is the third time I have produced it. It was such a hit, we have been asked to perform it at our fall teachers' opening day workshop." Review by Linda Garvin, Cactus Shadows High School, Cave Creek, Ariz.
"This play remains a perennial favorite with audiences of all ages! Who can't relate to the idea of the killer test, and we've all had "that teacher"—the one who seems to dislike you no matter what. 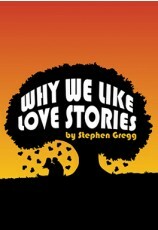 The levels of humor and subtle shifts in time and place make this play entertaining and fun to produce." 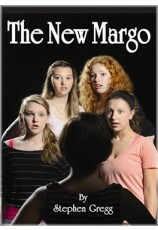 Review by Jennifer Pasko, Solanco High School, Quarryville, Pa.
"A perfect play for beginning actors! 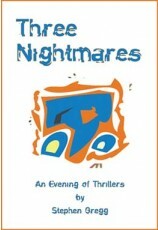 The "nightmare" that Alan experiences is one all students can relate to. Also, this can be done anywhere because the staging is so simple." "This Is a Test is a wonderful opportunity for young actors to explore a range of emotions, to improvise, and to develop comedic skills." Review by Richard Bellamy, Cape Cod Academy, Osterville, Mass. "If you have ever struggled taking a test and got caught up in listening to the voices in your head, This Is a Test replicates your feelings. It is a great piece to highlight one of your best actors as well as have a great supporting ensemble." "When the clock stopped ticking, the applause began! This is the perfect play for middle school actors." Review by Christine Troy, Morgan County Middle School, Versailles, Mo. 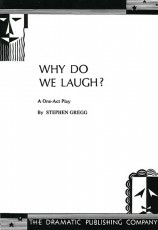 "This play is a great one-act with easy staging that can be put together quickly. My students really enjoyed performing it." 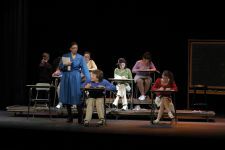 Review by Megan Lotti, Rincon Vista Middle School, Vail, Ariz.
"I had "the chorus" dress as parochial school students. My pre-show music was any song that had the word "school" in it: "School's Out," "Be True to Your School," "High School Rock," etc." "We used a fog machine when the chorus entered and also when Alan's mother came in to give the impression that it was all in his imagination." Tip by Michaele Lux, Andrew Jackson High School, Chalmette, La. "Props/sight gags worked well for chorus and students—music and sound effects also effective. "Teacher" role became "Every Teacher" parody open to interpretation." "Involve the chorus in the action—I had mine travel so their job was more exciting." Tip by Dana Davis, Prairie Trail Junior High, Olathe, Kan.
"Use of a metronome really adds to the mood!" "A large ensemble of "students" who take the test around or behind "Alan" will really add to the overall effect of this "every student's nightmare." Each character on stage should have a unique personality told through "reaction" and costume." Tip by Marc Aronson, Coconut Creek High School, Coconut Creek, Fla.
"The trickiest part is moving the teacher around through the desks without upstaging him/her. There needs to be maneuvering room." Tip by Thalia McMillion, Derby Academy, Hingham, Mass. "Always remember the importance of the chorus. Cast strong people in the chorus and focus on making the chorus the 'engine' of the play."